Four new weatherization and home energy professional certifications will be introduced in June by the Building Performance Institute, Inc. (BPI). These voluntary certifications cover the most common job classifications in the weatherization and home energy upgrade industry: energy auditor, retrofit installer, crew leader, and quality control inspector. BPI will pilot written and field practical exams in June. Registration for these exams is now open online at www.bpi.org/pilot. Scheduling of pilot exams will begin in May. Eight hundred people are sought for the initial testing. The results of the pilot test cycle will be used to set passing scores for the national exams. Candidates who take the initial exams and meet passing requirements will be among the first group of professionals to earn these certifications. In the fall, BPI expects to give the exams across the country. "The emphasis is on field experience—being able to demonstrate practical ability to do the job. It's not about taking a class and taking a test. It's a demonstration of experience and the quality of work," says Josh Olsen, policy adviser for the Weatherization Assistance Program, U.S. Department of Energy. The new credentials will meet the International Organization for Standardization's (ISO) 17024 standard, which is the international benchmark for personnel certifications across all industries. Under ISO 17024, each new certification is developed and administered using international best practices, such as cross-disciplinary peer review and industry validation of technical materials. The U.S. Department of Energy and its National Renewable Energy Laboratory developed the framework for these certifications in partnership with the Weatherization Assistance Program. They will not replace or interfere with professional certifications in the building trades. They are intended to support the four most common whole-house home performance job roles. American Council for an Energy-Efficient Economy (ACEEE). Building owners and other housing industry players need to partner with electric and natural gas utilities to obtain resources for energy efficiency retrofits. The combination of cost-effective upgrades and reduced energy use can result in utility cost savings of 15 to 30 percent in buildings with five or more residential units. 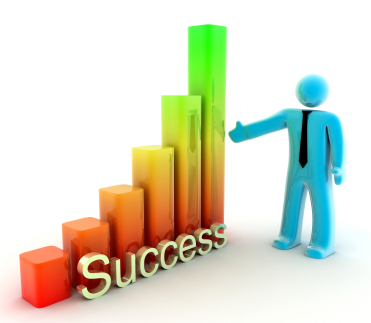 Obstacles building owners often face are difficulty finding technical assistance, financing, or qualified contractors. To view the full report, go to http://aceee.org/research-report/a122. What distinguishes you from everyone else? Why would people value and respect the knowledge and skill required to do your job? How do you distinguish what you do as a valuable skill? Accreditation and certification are current hot topics in the weatherization field. What is the effort worth? Why has there been such a push in these areas of our industry? Accreditation and certification initiatives intend to lift weatherization to a higher level of professionalization. a hierarchy that separates unskilled practitioners from qualified practitioners. Benefits to establishing such a professional classification are prestige, higher income, and better opportunities and career paths for practitioners. Professionalization adds a level of public trust and confidence in the profession and in individual practitioners based upon the profession's demonstrated capacity to provide service. The professionalization process tends to establish the group norms of conduct and qualification of members. Typically, the process insists that members of the profession conform to those standards. The effort may not directly impact individuals, but it is meant to elevate the field as a whole. Accreditation provides a professional judgment of the quality of a college, school, or training program. Standards are maintained with some type of external oversight. Certification provides a standard of qualification for the professional practitioner. Entrance into the profession requires some type of preparation and education. The practitioner must possess a professional body of knowledge and a repertoire of behaviors and skills to perform at a high level of expertise. 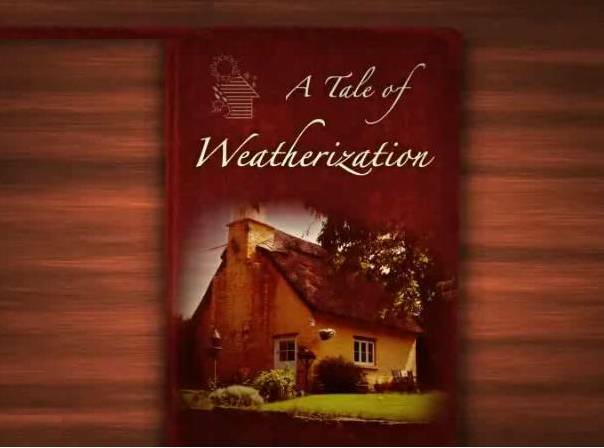 Think of it this way, the effort is meant to create a separation in the public’s eye of “weatherization professionals” from people who simply install insulation or windows. How would the general public know this other than personal referrals? They would know this because, in an established industry, the accreditations and certifications are signposts to the public that these organizations are prepared and knowledgeable to provide the best service possible. Home performance contractors and industry experts will discuss the benefits and business case for building performance during a four-part webinar series. Weatherization Training Center directors and staff who are responsible for developing marketing analyses and outreach plans will acquire marketing skills and tools at a workshop May 22-24 in Phoenix, Arizona. The “Finding Your Markets and Attracting Them to Your WTC” workshop will be held at the Renaissance Phoenix Downtown. Participants will learn how to develop and implement marketing strategies, how to identify key business opportunities to make their WTCs sustainable in the long term, how to research competitors in an effort to maintain a competitive edge, and how to promote the unique aspects of their WTCs. Carrie Smith, chief of In-Home Services, Foundation for Senior Living, Southwest Building Science Training Center, and Cynthia Simonson, director of Simonson Management Services, will lead the training. For information and to register, contact Sheri Hester at Sheri.Hester@orise.orau.gov. Weatherization Training Center directors and staff are encouraged to attend a workshop June 4-6 in Golden, Colorado. This training opportunity is directed to those who are responsible for developing partnerships, leveraging opportunities, and program monitoring and evaluation. Two participants from each WTC grant program will receive support and reimbursement for travel costs, as authorized by the U.S. Department of Energy. Oak Ridge Institute for Science and Education will send out registration information at a later date. started tweeting items of interest to the WAP network, but can use your help. If you have a specific and relevant topic you would like the network to know about, share it using the new hashtag. Weatherization Training Centers can use a simple online form to request help for training and technical assistance. This benefit is available to grantees of the U.S. Department of Energy (DOE) Weatherization Assistance Program. Oak Ridge Institute for Science and Education (ORISE) contacts the WTC within one week to determine the specific nature of the request and determine what type of assistance is needed. ORISE will forward the request to DOE for review and approval. Once approved, ORISE and subject matter experts will work with the WTC to develop a training event or arrange technical assistance. As a follow-up, ORISE evaluates effectiveness of training or technical assistance. To access the Training and Technical Assistance Request form, click here. The innovative folks at New River Center for Energy Research and Training (NRCERT) have developed an instructional video in the fashion of a classic Mother Goose tale. It tells the story of an aging house in need of weatherization work and a fledgling contractor who creates more problems along the way than he fixes. "The video walks through pressure boundaries and air moisture, and [shows] how if you change one part of the house it affects other parts. The video's primary teaching point is that a house is a system," said David Meadows, director of operations, NRCERT, Christianburg, Virginia. Anthony Cox, NRCERT's lead trainer, helped create the video. In the video, Red, Grandma's granddaughter, notices drafts inside the chilly house and decides it needs insulation. Big Mike, a new contractor in the weatherization business, makes more work for himself and learns the hard way that a house is a system and all parts are connected. In this tale, Big Mike's adventure begins with the installation of new insulation. Mysteriously, a water stain appears on the ceiling. He created this moisture problem because the new insulation trapped heat inside the house, causing moisture to condense and freeze on the underside of the roof. He knows the attic must be air sealed. "If only he had thought of that earlier," says the narrator of the story. Big Mike must now remove the insulation, air seal the attic, and reinstall the insulation. As the video continues, Big Mike must address other consequences of his weatherization actions including humidity and wall spots, pressure boundaries, condensation problems, and ventilation issues. He realizes he needs training in order to properly recognize and analyze the problems at Grandma's house. NRCERT staff made the lessons of the video more real by constructing a prop building, dubbed Grandma's House, for use at training events. Students can watch the video and complete hands-on exercise's on the model. They gain a better understanding of building science, the house as a system, and the way many weatherization tasks affect other facets of the house. The "Grandma's House" video is based on a PowerPoint presentation created by Marquam George of the University of Alaska Southeast and the Alaska Building Science Network. The video was created by the U.S. Department of Energy in collaboration with Mr. George. The "Grandma's House" video can be found at the National Association of State Community Services Program's (NASCSP) website.